Some have asked for a medallion pattern using a BIG rivoli so here is one for a size 18mm rivoli. 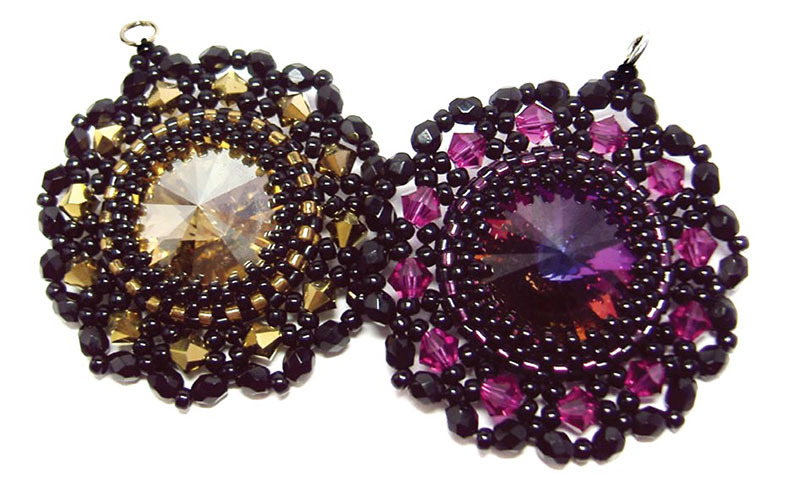 The medallion is made by first creating a bezel using the peyote stitch to hold the rivoli, and then using netting to add bicone crystals, fire-polished beads and seed beads around this rivoli base. The pattern is fully illustrated with detailed step-by-step instructions.